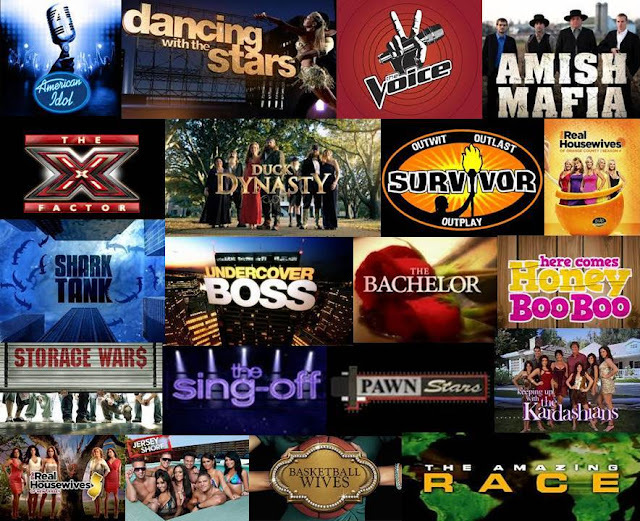 During the last 10 years, many networks have proclaimed that their viewership for their reality TV show offerings have been steadily increasing. When you look at the fact that TV shows are essentially stories that portray a world outside of our normal lives, it comes as no surprise that may people get hooked on watching reality TV shows. With that said, let's take a look at how the reality television scene has grown over the last 10 years as well as a few logical reasons as to why people become reality TV Junkies. Many people argue that a lot of what transpires on reality TV is staged. However, regardless if this may be the case for some shows, reality TV is a good way for us to look into the lives of others. Let's face it, while we may hate drama that involves us, to a certain extent we can be considered as a world of voyeurs who gain a certain degree of enjoyment by observing others who are dealing with drama. Many of us undergo a great deal of stress due to the responsibilities that we have to attend to, such as our children, jobs, school and our love lives. As such, the concept of incorporating "down time" is easier said than done. However, brief TV shows such as "The Real World" or "Big Brother" don't really require a significant amount of mental focus in order for us to understand what's going on and can be quite funny at times. This concept of "mindless entertainment" can prove to be especially fulfilling after a long stressful day. From the early 50s up until the late 90s - early 2000s reality TV shows were primarily about families. Based on the fact that during those times, children were not growing up with the intention of leaving their hometown, but rather the intention of taking over the family business and remaining within their hometown, the fact that reality TV shows of those times were primarily about families, comes as no surprise. However, as technology continuously gets integrated into every facet of our lives, people are leaving the constraints of their hometown in an attempt to travel and explore the world and all the experiences that goes with it. It is due to this change in our mindset that has led to the change that can be seen in reality TV shows. They provide us with an opportunity to experience the lives of other people regardless of their distance or social/financial status.